The fee range will depend upon several factors including, length of performance, the size of the ensemble requested and the distance and circumstances of the travel required. However, a minimum fee will be $500.00 for a duet. The full ensemble is a quintet. A master class covering jazz improvisational theory is also available. Richard Hart is more than just a jazz guitarist. Hart is the consummate musician. In a career that spans over four decades, he has proven himself a versatile composer, arranger and producer in many different musical styles and contexts. In addition to crafting a fine discography of his own, his resume includes writing commercial jingles and independent film scores. Whatever your taste in music media entertainment, chances are good that you have had at least a passing acquaintance with the work of Richard Hart. Hart grew up outside of Los Angeles, CA. In 1980, he moved to Oklahoma. By 1981, Hart was writing and arranging new original tunes with local musicians. By chance, Hart met jazz keyboardist Larry Pierce, formerly of Blood, Sweat and Tears who was living in Tulsa, Oklahoma. Hart and Pierce gave a concert performance as Richard Hart & Swans Down featuring Larry Pierce, in Elk City, Oklahoma, at the Susan Powell Fine Arts Auditorium. In 2004, Hart began his new project of original material for a new album release. Gathering jazz saxophonist Ron Munn, bassist Dorothy Soto and percussionist Mark Winkel, Hart formed his new quartet. By 2005, Hart’s quartet recorded Fearless Shores, which was released on the Schepora IRL label. In June of 2005, Hart’s quartet performed at the Charlie Christian International Jazz Festival in Oklahoma City, Oklahoma. Since 2009, Hart has been working with new musicians from Oklahoma, performing throughout Oklahoma and the Texas Panhandle. 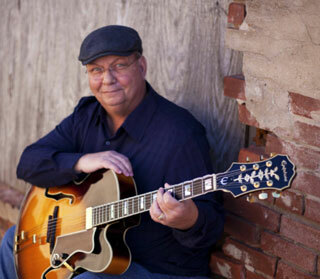 In 2010, Hart released Blue Swing on Slowernickels Records with original saxophonist Ron Munn and other session players. The title cut Blue Swing has been played on internet radio in over 83 countries, with over 10,560 spins in the first 16 weeks after its release. The latest release celebrates the importance of the human element in the creative process. “In a world of constantly changing technology and doing things long distance,” Hart says, “It still amazes me when you put the live musicians into the mix, it is their personal interaction that brings the music to life.” The idea behind the CD title, Blue Swing, is to show the effect that an individual’s personality has on the music, both in the context of a recording and in a live setting, encompassing all the emotions in-between.